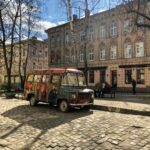 I work online as a digital nomad and spent 5+ weeks each living in Sofia, Belgrade, Zagreb, and Budapest, which I used as bases to explore the rest of the country. Additionally, I lived in the small Transylvanian town of Sibiu for over a month and took a two-week vacation in Macedonia and Albania as well. 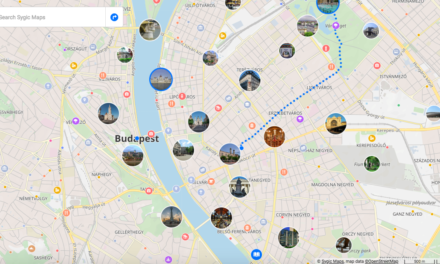 Now, I can confidently create a list of the best places to visit in Eastern Europe! 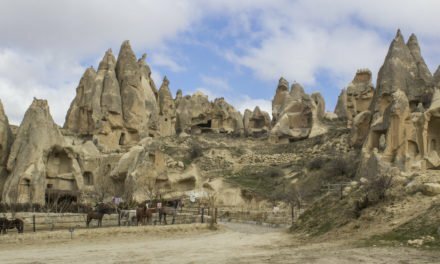 Read what I loved about each country, what I disliked, and all the details you need to know before you decide which one to add to your itinerary. Ready to get started? 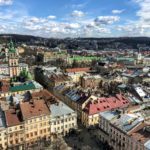 This is my ranked list of the best places to visit in Eastern Europe! Sorry Serbia, you come in last on the list. There are a few factors that shaped this decision. 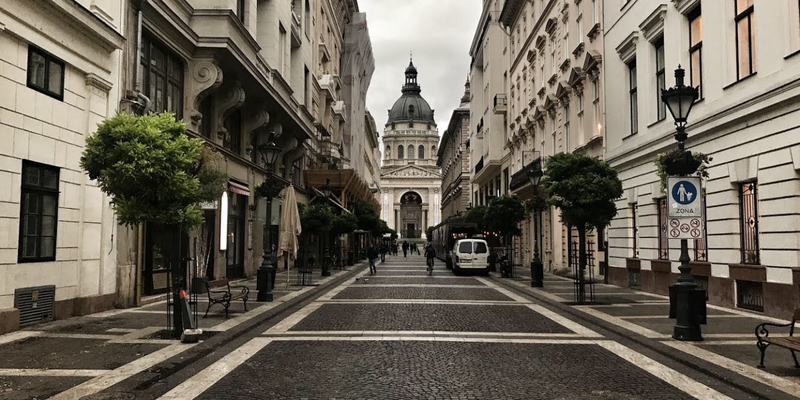 First and foremost, though, is the lack of variety that Belgrade, the capital city, has for tourists and digital nomads alike. Nightlife is the number one thing to do in Belgrade and it’s comparable to Berlin and other party powerhouses on that front. But, if you don’t want to club, there’s not much else to do. Lots of shops, bakeries, restaurants, and bars lined the streets but outside of eating and drinking I was disappointed. What about the rest of Serbia? Honestly, the country is mostly flat land, corn fields, and empty spaces (similar to Ohio and the Midwest). There are a few national parks but public transport to reach them without a car is long and difficult. The town of Novi Sad is pretty, though, and was probably the highlight of my Serbia trip. My stay was pleasant, but there were just no food or travel experiences that really stood out during it. Serbian people are nice and Belgrade has an interesting energy, but to put it bluntly, there are better places to visit in Eastern Europe. Explore the complete Serbia Guide here. Yes, I know this is an incredibly unpopular opinion. At the moment Croatia is exploding as a tourist destination, but I was a bit underwhelmed by the country. Essentially, Croatia is Eastern Europe living with Western Europe prices. They’re right on the edge of joining the Schengen Zone and the influx of tourism (partly due to Game of Thrones) has pushed up the cost of pretty much everything. The capital city of Zagreb is pretty and the nearby day trips we took to places like Samobor were nice. 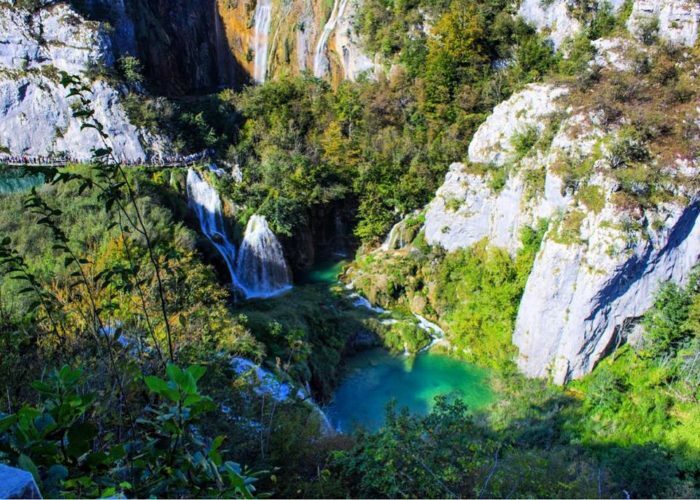 However, our day trip to the famous Plitvice Lakes National Park was marred by massive overcrowding – try your best to go to Croatia outside of the summer and main tourist season, because the crowds were really just too much. Additionally, the coast is gorgeous but also the most expensive place we visited on our seven-month trip through Eastern Europe. If you want to visit in Croatia, expect that your budget won’t get you as far as anywhere else on this list. Explore the complete Croatia Guide here. The capital city of Macedonia, Skopje, is the strangest city on this list. It seemed scattered and devoid of any real… identity. To be fair, I only spent 24 hours there so this is just my initial reaction and I didn’t have the time to dig too much deeper into the city. It’s clean, it’s nice, but I thought the personality was lacking. There wasn’t really a thriving craft beer scene or lots of tourists sites and hiking to do nearby. However, the city is incredibly cheap and of course, has it’s own history and unique quirks to uncover if you do choose to visit. You should really come to Macedonia for Lake Ohrid. It’s a couple of hours from Skopje by bus and a great place to relax. Both the lake and the old town around it are UNESCO sites, the food was delicious, and all the people we met in the country were incredibly kind. 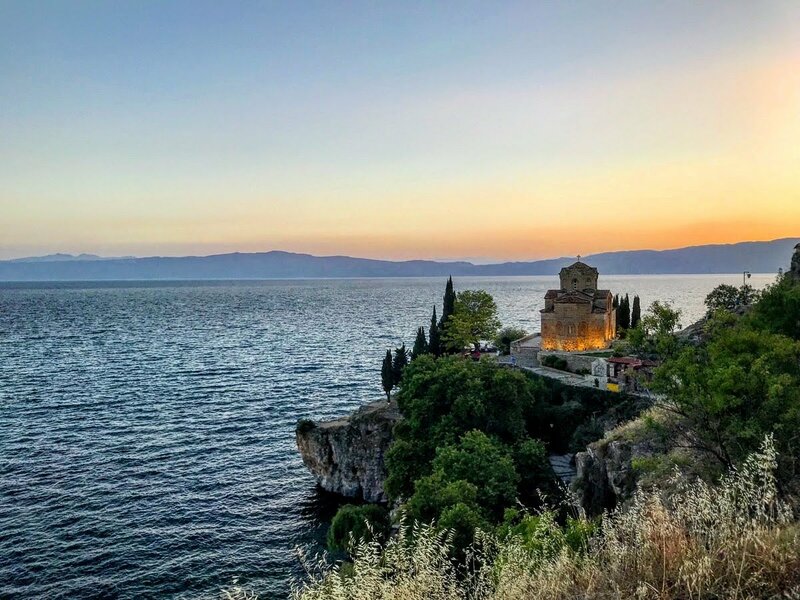 I don’t recommend living in Macedonia for a long-term stay but Lake Ohrid is definitely a top vacation spot in the region and highly recommended! Explore the complete Macedonia Guide here. Have you ever seen a picture of Sibiu? This city of 100k people is idyllic. The central historic center is like a fairytale come to life, with colorful houses and cobblestone streets. 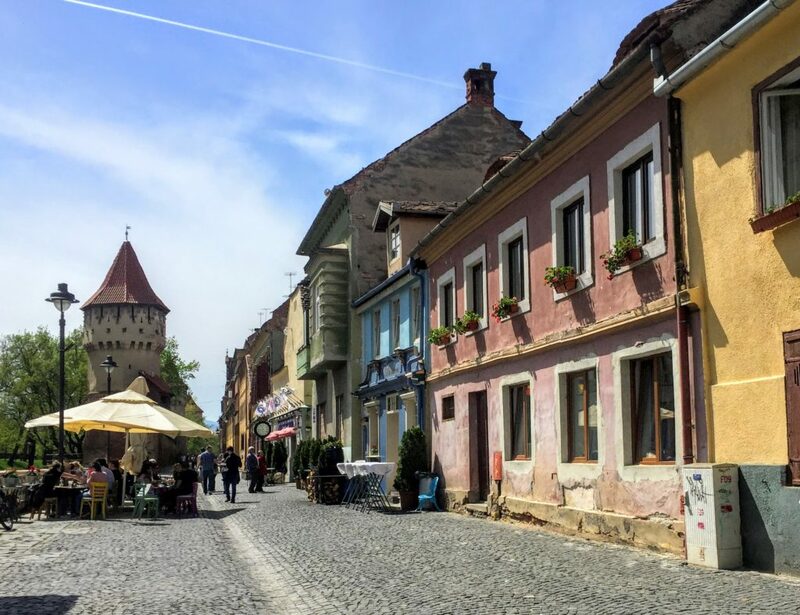 Sibiu is one of the best places in Eastern Europe for digital nomads because Romania has the 5th fastest internet in the world. We had speeds over 100 mbs in our Airbnb and it was fantastic. While I spent a weekend in Bucharest, I didn’t love it. I think if you do decide to visit Romania, the northern Transylvanian cities are better choices. Check out Sibiu, where we stayed, or the larger cities of Cluj-Napoca or Timisoara. If you want nightlife and more to do, these two are better choices than sleepy Sibiu. But if you just want to relax, I have to say Sibiu is a perfect place to help you slow down. Historical castles, idyllic towns, hiking trails, good food – Transylvania has it all. 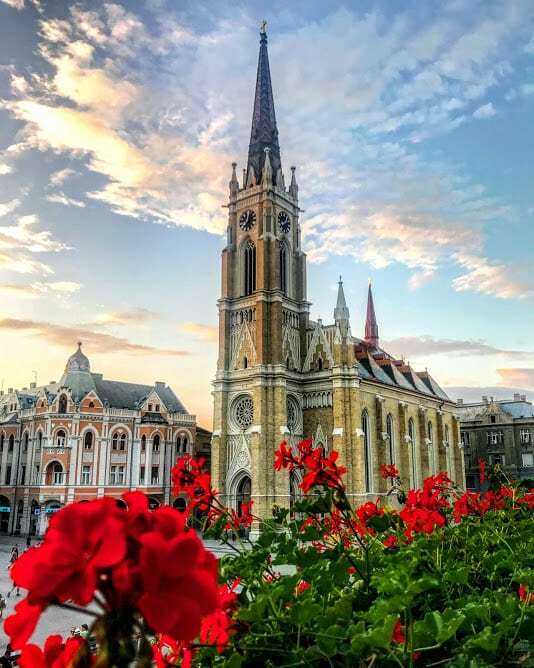 If you’re seriously considering this country, read my in-depth review of my experience as a digital nomad in Romania and check out our five-week budget breakdown to help you make your decision. Explore the complete Romania Guide here. I was pleasantly surprised by how much I enjoyed our seven-week stay in Sofia. My favorite aspect of the city is the social life. 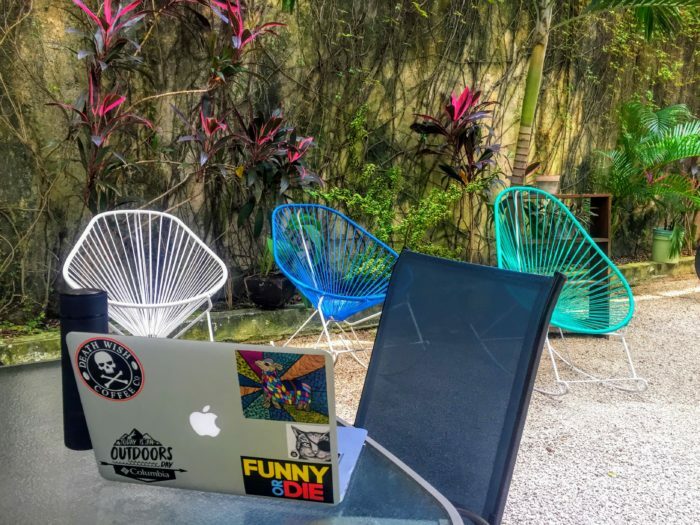 There were so many talks, groups, meetups, and clubs to join which is a welcome respite from the solitary life that we lead as digital nomads. From a weekly board game meet up to a travel blogger presentation to a tech talk with one of Sofia’s biggest startups, I learned a lot and networked a lot during our short stay in the city. Also, the hiking in Sofia is extremely accessible with Vitosha Mountain and multiple forest trails just 30 minutes from the city. I enjoyed exploring the craft beer scene and photographing the interesting architecture in the city. 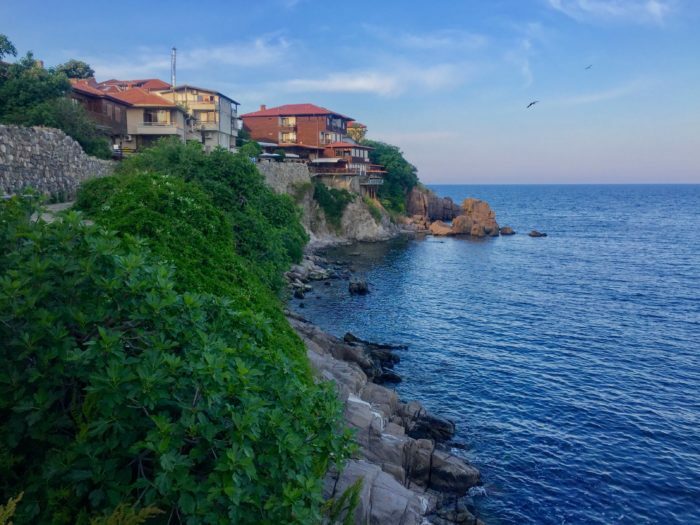 Plus, there are plenty of nearby day and weekend trips to keep you occupied like Veliko Tarnovo (a Medieval town), Plovdiv (the 2019 European Capital of Culture), and of course the beach towns scattered along the Black Sea (I recommend Sozopol). 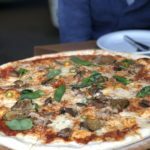 To top this all off, Sofia has three of the most important things that I need as a digital nomad: good food, good internet, and a low cost of living. I thought Bulgaria was one of the easiest places to live in as a digital nomad in Eastern Europe. As a vacation destination, it also pulls its weight, making Bulgaria a great choice for any length of trip. Explore the complete Bulgaria Guide here. Like Macedonia, Albania is the other country on my list that I only visited for a few days rather than 5 weeks. However, I still want to share my thoughts because I loved Albania! I really think the country is underappreciated and under-visited. Let’s start with Tirana. Honestly, it’s just cool. The Blloku neighborhood is full of hip bars, shisha spots, and great restaurants. There are also plenty of galleries and museums to see and I really wished I had more time to explore. I would have happily spent a few weeks in Tirana, except…. The internet. Albania had the slowest internet connection that we experienced in Eastern Europe. I think it’s possible to get an Airbnb with usable speeds, but my advice would be to make sure you get a screenshot of a speed test from the owner before you commit, otherwise, you could have serious problems. Also, the buses are insanely slow. So, if you don’t have the patience to spend twice as long on every trip as Google Maps estimates, then Albania isn’t for you. But, back to the positives. The people here are serious about their hospitality and I felt a warm welcome everywhere I went. Also, the cost of living is crazy low so it’s a great place to live large without spending too much money. And finally, the nature and hiking in Albania are next level. Theth National Park is only around three hours from Tirana and has some of the most amazing hiking I’ve ever done. The beaches are also nearby and though I didn’t visit, they were widely praised by all the travelers I met in the country. Just like Macedonia, I don’t recommend living in Albania until their internet speeds improve. But for an outdoorsy, hiking vacation, Albania is definitely the best place to visit in Eastern Europe. Explore the complete Albania Guide here. Oh my. With Budapest, I’m not ashamed to admit, it was love at first sight. In the fall weather, this city is just stunning. It’s fashionable, it’s hip, and it’s full of beautiful architecture, good food, and cool bars around every corner. There’s so much to do here and I absolutely can’t believe how low the cost of living is. Where Zagreb was an Eastern European lifestyle with Western Europe prices, Budapest is the opposite. I feel like I’m living in Barcelona or Berlin but with serious savings. Our clean, modern, and spacious loft is two blocks from the central square and only costs $24 per night. The markets, the castles, the churches, the spas, the parks… it’s more than enough to fill our five short weeks and I really wish we had a couple of months instead. 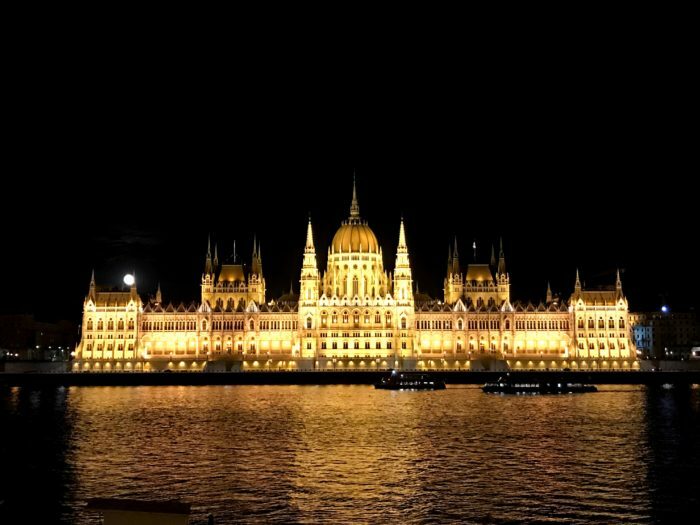 If you want a city experience with great energy, food, and nightlife, there’s no doubt in my mind that Budapest is the best city to visit in Eastern Europe at the moment. So, these are my thoughts. Seven months and seven countries later my Eastern Europe country comparison is complete and this is my final ranking. For me, Hungary wins hands down, with the best quality of life for the price. On the other end of the list is Serbia, which didn’t really stand out to me in any way. 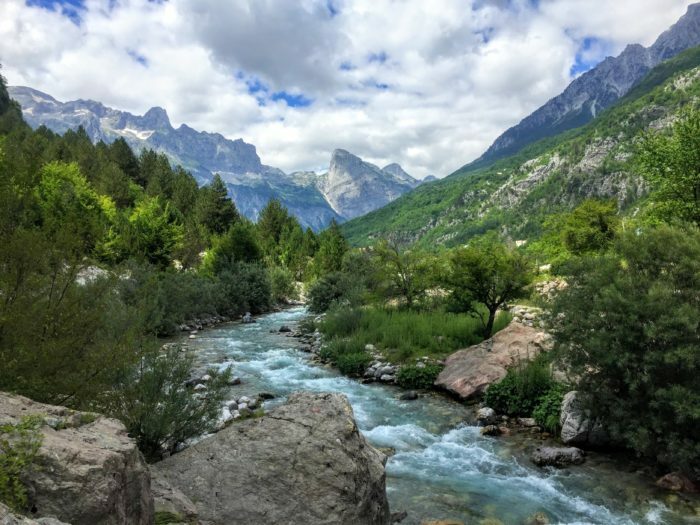 In the middle are Bulgaria and Romania, which are great for long-term stays, and Albania and Macedonia which make for great vacations, especially if you love the outdoors. Croatia only lags behind because it’s the most expensive of all the countries I visited in Eastern Europe (and very crowded in the summer) but its natural beauty and beaches are great for digital nomads and vacationers alike. Each country has its own personality, so choosing between them all really depends on what your main priority is. If a low cost of living is your priority, Albania is definitely one of the best places to visit in Eastern Europe. For peace and quiet, Sibiu is the right choice. You get where I’m going with this! If you still can’t make up your mind, here are a few more helpful breakdowns in different categories. Country comparisons and city comparisons are two different things. If we’re just talking cities, this is my personal order of favorite cities in Eastern Europe. This data is from the Cost of Living Index on Numebo, which ranked the cost of living of every country in the world. The higher the ranking, the cheaper the country is. This isn’t exactly a scholarly publication, so I went with the internet speed ranking on Wikipedia for this list. I know I didn’t spend too much time in any of these countries (especially Albania and Macedonia) but I feel like I still got a pretty good taste of each. Hopefully, this brief comparison can help you sort your thoughts and decide which Eastern European country is right for you! To plan your trip to Eastern Europe, compare flight prices on Skyscanner and book your stay on Booking.com. NextWhat is Season Hopping… and Is It Even Possible?